Do you get confused when you have to write linear equations? Don't worry, that's about to change! In the previous unit, Graphing Equations you learned how to graph linear equations on a coordinate grid. In this unit, we are going to reverse that process and write equations to match a graph or a word problem. This unit is very important, because in many real life situations, you will not be given an equation to solve. You will be given a problem, that will require you to first write the equation and then to solve the equation. Click on the lesson below that you need help with, or follow along in order to complete the unit on Writing Equations. Writing Equations in Standard Form from Word Problems. 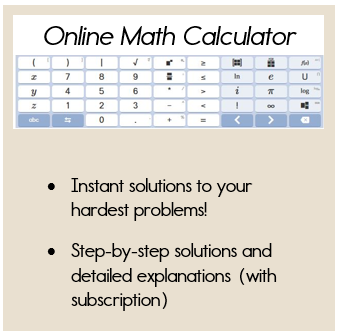 Do You Need More Help with Writing Equations? 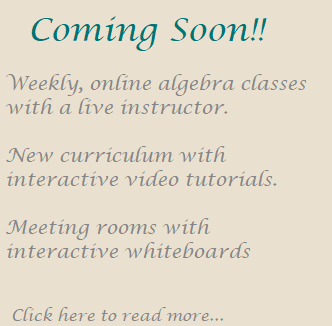 The Algebra Class E-course offers video tutorials, tons of practice problems with step-by-step answer keys, and graphic organizers that will guarantee your success in Algebra 1.